1 Peel and halve the mango, remove the stone, cut four slices of fruit and dice the rest. Peel the kiwi fruits, slice one and dice the rest. Wash the strawberries, reserve four and hull the rest. 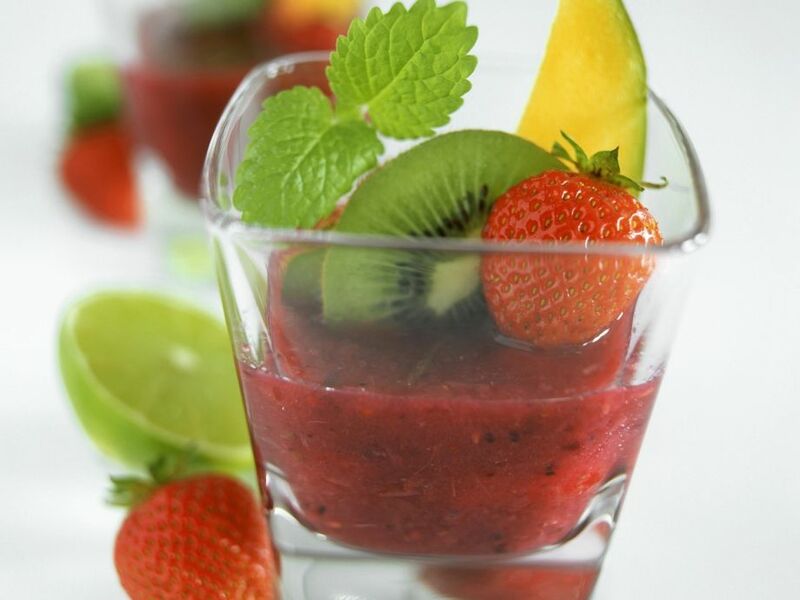 2 Puree the diced fruit and hulled strawberries with the lime juice and honey and pour into glasses. 3 Serve decorated with the reserved fruit slices, strawberries and lemon balm.